Wii U owners aren't feeling left out or anything. It's not like Terraria has been released for every mobile device, handheld gaming machine, and both current and previous generation console on the market, including Amazon's FireTV, which you totally forgot existed until I just mentioned it. Bitterness aside, Nintendo's systems are usually the last holdouts for popular multi-system titles like Terraria and Minecraft. In fact, the 3DS version of Terraria was only released in December 2015, two years after the Vita release. Oops. 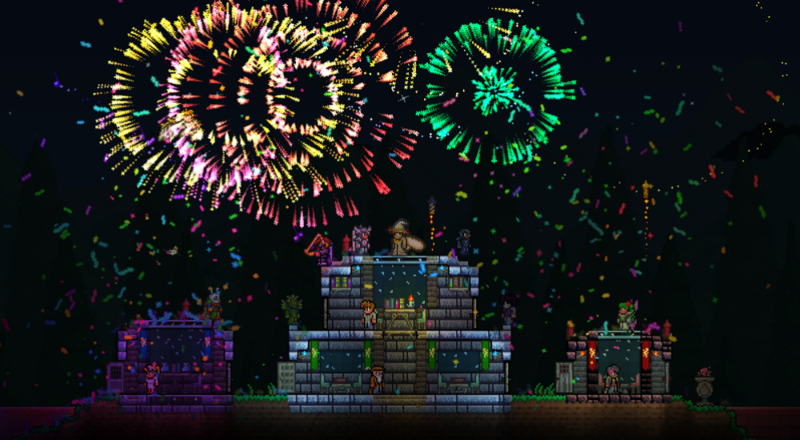 The Wii U port of Terraria is scheduled for June 24 in Europe and June 28 in North America. It will feature full gamepad integration, naturally, four player local co-op and eight player online co-op. We're assuming this version will be as feature complete as the PC release. Both mobile and console flavors of Terraria recently caught up with their big brother, so everything should be ready to go this summer.